Blockchain technology has been in the news as the super-tech powering bitcoin, the popular cryptocurrency that is revolutionizing the way we conduct transactions, and more recently, supply chain management. Simply put, blockchain is a vastly distributed ledger that records anything of value. This includes deeds, equities, contracts, rental agreements, money, titles and realistically any kind of asset. The records stored here can be moved between two parties sans any intermediary. To put it in a few words, Blockchain is a peer-to-peer transaction took that works independently of an intermediary’s verification or identification of the involved parties. Despite being relatively new, blockchain has established itself as a tech that is here to stay. One of the most admired factors of this technology is its ability to power decentralized cryptocurrencies, and there are a good number of them at the moment—Bitcoin being one of the most notable of them all. While blockchain technology has proved to be a game changer with its potential to get bigger and better in the future, there are certain roadblocks that need to be tackled before it can establish its supremacy over the financial sector by achieving the “number one” currency status for financial services. This seems like a fair possibility because a lot of big guns in the world of finance have shown their support and willingness to back blockchain technology for widespread acceptance as a tool of exchange in business-related transactions. With this article, we’ve highlighted how blockchain has impacted financial services and the global financial sector. Artificial Intelligence is here to stay. In this post, we deep dive to find out if Artificial Intelligence will take over your job in the future. Read on! Certain banks such as National Bank of Abu Dhabi, Santander, CIBC, UniCredit, etc. have enabled the movement of money through blockchain technology. Many tech startups have sprung up to work with banks to enable them to seamlessly carry out international payments through blockchain technology. The blockchain startup to initiate this revelation was Ripple—it made blockchain technology available to financial institutions and provided them with the unique solution of a secure end-to-end flow of money and transactions that could be verified immediately. Smart contracts allow the automatic execution of commercial transactions and agreements. These smart contracts are a lot more secure when compared to a traditional contract. The reason for this is because it eliminates the middlemen and this also means that the transaction costs reduce to the bare minimum thereby benefitting both the parties. In the present day, Bitcoin is the most accepted form of blockchain technology and as mentioned earlier, financial institutions are keen on exploring the power and ease of this technology. Here are a few ways in which blockchain can assist in changing the status quo when it comes to conducting business transactions. Despite being a fairly new technology, blockchain promises to prevent frauds from occurring across financial transactions. The technology works on a decentralized system compared to traditional systems which are centralized. Because of this, it is tough for a blockchain system to suffer cyber attacks. Moreover, traditional media platforms are keen on adopting this technology as a means of payment for traditional media buying. The traditional media buying sector is rife with fraud due to the presence of intermediaries, complicated processes and lack of transparency in transactions. Blockchain can significantly simplify this process and make it a breeze. Blockchain technology can be used securely by using cards with a contactless interface with a higher security level. Smart cards help secure private keys through the use of hardware. These cards give user-controlled and untethered access to cryptographic keys, and that makes blockchain transactions easy. A smart card can be any form of a regular card, a USB device, a microSD card, and other forms of portable card technology that can work with blockchain applications. One of the promises blockchain technology makes is a better and more secure way to trade alongside reduced transaction costs and trade settlements within a short time. The technology will allow individuals to transact and connect with each other in a far more efficient way. They won’t have to fall prey to issues such as zero transparency or unfair barriers that are common with traditional methods. Insurance has been a cause of issue for many. And this can be changed entirely with blockchain technology. From filing an insurance claim to premium payments, investigation to the settlement of claims, legal contracts can be replaced by smart contracts. Settling unclaimed files will also get easier as the dots will be connected through the use of a blockchain registry. Know-Your-Customer Regulation is one of the most crucial policies that all financial institutions follow. The KYC regulation is a means for banks and other financial institutions to know who their customers are and it helps to minimize financial frauds and money laundering activities. With this tech, every customer will be verified independently and the identity of the customer can be availed easily since the customer has already been confirmed on the blockchain network. This process saves everyone a lot of time, money and effort. Geoff Roberts, Co-founder at Outseta, to understand how your tech startup can go about crafting and implementing a go to market strategy. 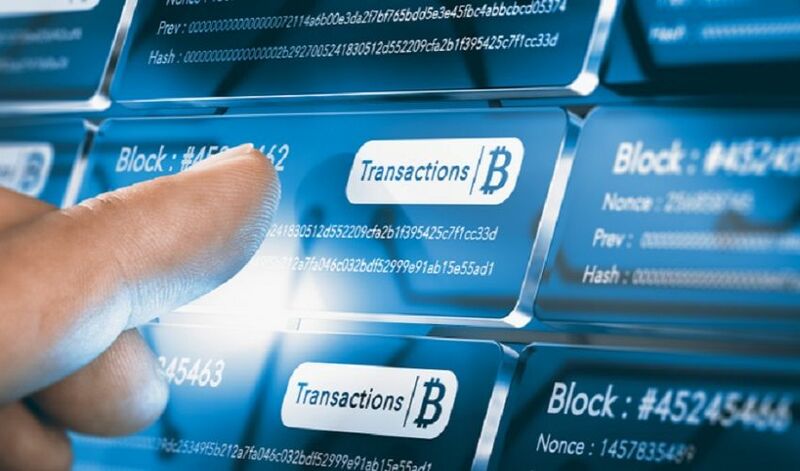 Looking at the sheer number of transactions that are carried out on a daily basis in the banking sector, blockchain technology can bridge the gap of missing security and transparency in regular transactions. This will help instill faith in the banking system since every transaction will be fast and transparent. In the coming years, it won’t be a surprise if blockchain dominates the financial sector. Starting a slick new FinTech startup? Get .tech here!